Recognized as a cloud leader with their Office 365 bundle and Azure cloud environment, Microsoft products are a great fit for the businesses we support. We continue to invest in our partnership with Microsoft through certifications and training to offer relevant advice and guidance to our clients. Tired of managing email signatures by hand? CrossWare eases that pain by providing simple and consistent email signature deployment. Never worry about an unbranded email again. 3CX’s VoIP software is highly customizable with new features released quarterly, enabling us to provide a phone system that will grow with your company. With the Windows based version and simplified licensing, we have been able to deploy cost effective voice solutions utilizing our clients existing IT infrastructure. 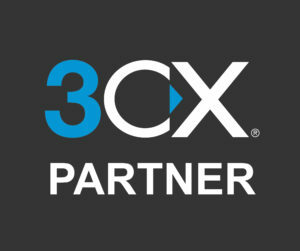 Get the most out of 3CX. VoIPTools develops custom VoIP solutions for 3CX, whether your PBX resides on-prem or in the cloud. With their direct to customer model, reliable hardware and responsive support, Dell has been the leaders for servers, storage and network infrastructure hardware in the enterprise space for many years. As a Partner, we have the training and resources to recommend the best hardware for your needs. Scout Technology Guides is a member of HTG, an international peer group organization. This investment connects us with a North American network of Information Technology companies committed to being the leaders in their space.